Great Command Or Scout Vehicle! 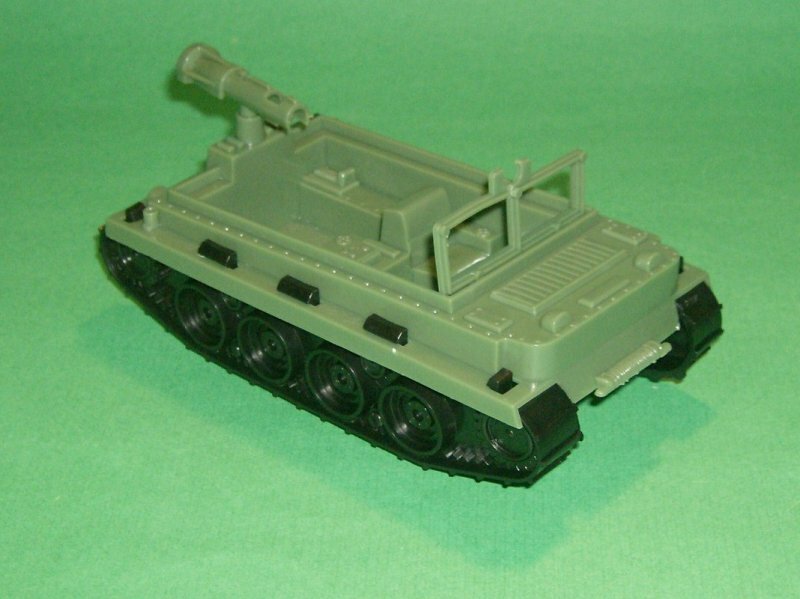 MPC recast Weasel tracked vehicle. In green plastic, easy snap together assembly required. Measures 7" long, 4" wide, and 3" tall. Nicely detailed interior, with small cannon mounted on back (this cannon can be extended by simply placing a dowel rod thru the barrel, and attaching the included flash suprressor to the front of dowel rod) This vehicle makes a great command or scout car!